Have you had a chance to get out and pick some cherries yet? I got to pick some at Wasem Fruit Farm this past Friday. The picking was great. A lot of farm from north to south in Michigan are also reporting great picking. Here is some updates from a few of those farms. (1) Wasem Fruit Farm in Milan still has plenty of Montmorency sour cherries to pick . Call 734-482-2342 for more information. (2) Frank Farms in Berrien Center still has tart cherries available, but they are all pretty much high on the trees. You are bring your own ladder to pick what is left. The cost is $1/lb or $1.75 for pre-picked. They are open daily from 7 a.m. to 7 p.m. They will provide containers for you to pick in. They also offer free pitting. For picking conditions, call (269) 461-4125. (3) Erwin Orchards are located in South Lyon on Silver Lake Road for more info call 248-437-4701. (4) Fruit Acres Farm in Coloma has both sweet cherries and sour cherries. For more info call (269) 208-3591. (5) Tree-Mendus Fruit Farm in Eau Claire may still have some sour cherries available, they are out of sweet cherries. They offer a pitting machine, so you can pit your cherries before you head home. For more info, call 269-782-7101. (6) Lehman’s Orchard in Niles has sour cherries available for picking. For more info, call 269-683-9078. (7) Farmer White’s in Williamsburg has u-pick cherries. For more info call (231) 632-1500. 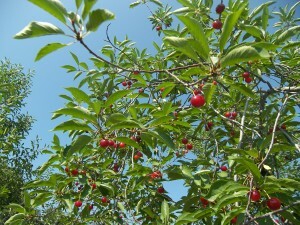 (9) King Orchards in Kewadin has u-pick sweet cherries now and sour cherries on July 18th. For more info, call 877-937-5464. (10) Rennie Orchards in Williamsburg is NOW picking both sweet and sour cherries. For more info, call (231) 264-8387. 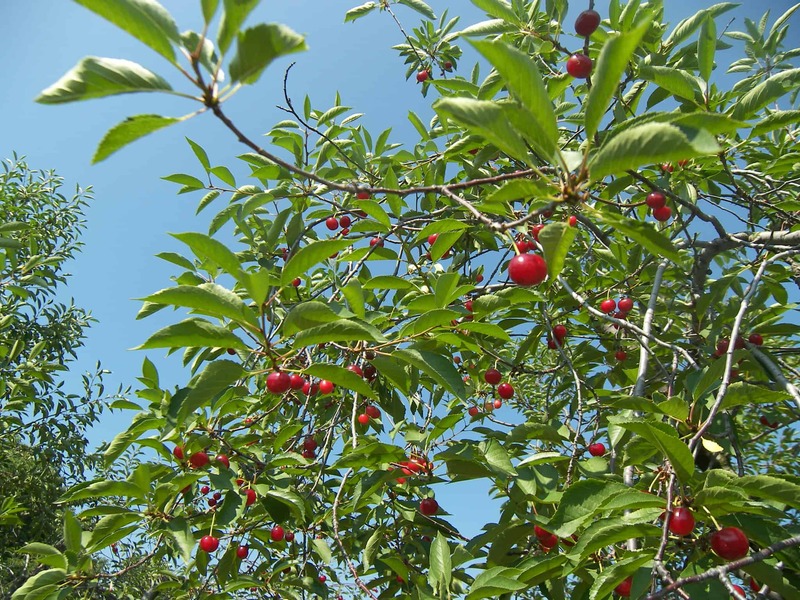 (12) North Star Organics in Frankfort will have certified organic u-pick cherries (sweet starting July 20th, and sour from July 23rd to 30th). The sweet cherries may long last a day or two, so hurry in fast. For more info, call (231) 352-4865. (13) Santucci Farm in Traverse City will opening again for u-pick on Thursday, July 14th. They have both sweet and tart cherries. They expect to begin harvesting their black cherries on Sunday, July 17th. For more info, call (517) 974-7233. (1) Kapnick Orchards in Britton is picked out of u-pick cherries for the season. You can still buy already picked cherries. For more information, call 877-450-6096. (2) Corey Lake Orchards in Three Rivers is out of cherries, but they have lots of other great fruit available now. (1) Schultz Fruitridge Farms in Mattawan will have sweet and tart cherries available for purchase shortly. (2) Gallagher’s Farm Market in Traverse City will be selling tart and sweet cherries this year. Call (231) 947-1689 for more info.